The Barry D.E.W. LineTM Lineman Rescue Kit is a self-contained and easily deployed system designed to perform three different rescue methods and/or to escape from access platforms and towers. 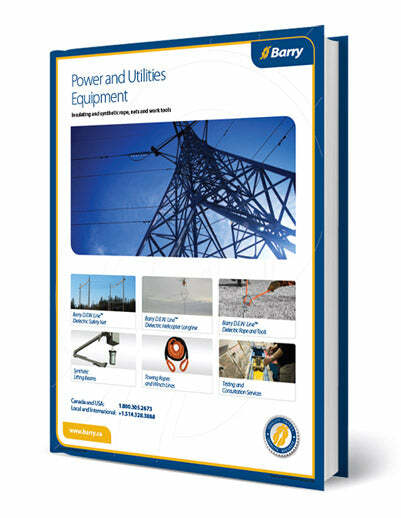 Download our Catalog of Power and Utilities Equipment. Barry D.E.W. LineTM and all Barry D.E.W LineTM products are trademarks of Barry Cordage Ltd. Use of these trademarks is strictly prohibited unless authorized by Barry. Dyneema® is a trademark of DSM. Use of this trademark is prohibited unless strictly authorized.